¿Qué democracia queremos libre o zombie? The week of June 14 is designated as “National Flag Week.” During National Flag Week, the president will issue a proclamation urging U.S. citizens to fly the American flag for the duration of that week. The flag should also be displayed on all government buildings. Some organizations hold parades and events in celebration of America’s national flag and everything it represents. Other organizations and tribal groups hold counter-celebrations and protests. 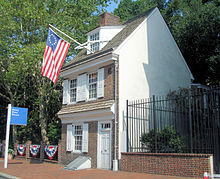 The Betsy Ross House has long been the site of Philadelphia’s observance of Flag Day. 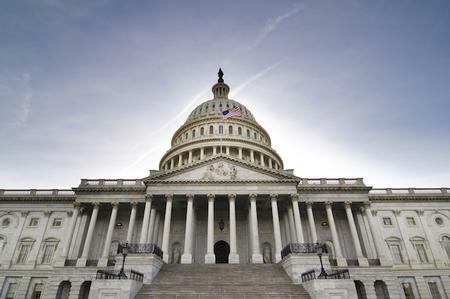 El tema del status político de Puerto Rico sonó ayer en el Congreso de Estados Unidos, luego que el Comité de Energía y Recursos Naturales del Senado federal convocó una audiencia pública para discutir los resultados del plebiscito del pasado 6 de noviembre y el doctor Ricardo Rosselló Nevares envió a través de las redes sociales un mensaje a 542 congresistas para que “respeten el voto del electorado puertorriqueño en contra del status político actual y favor de la estadidad”. El anuncio de la audiencia surge a dos semanas de que el comisionado residente, Pedro Pierluisi, presentará en la Cámara federal el proyecto H.R 2000 que busca que Puerto Rico sea admitido como el estado 51 de Estados Unidos. La audiencia será el próximo 11 de junio a las 10:00 a.m. en el salón 366 del edificio Dirksen del Senado estadounidense y fueron convocados el gobernador, Alejandro García Padilla, como presidente del Partido Popular Democrático (PPD); Pierluisi, como presidente del Partido Nuevo Progresista (PNP), y el presidente del Partido Independentista Puertorriqueño (PIP), Rubén Berríos Martínez. La Oficina de Prensa de La Fortaleza confirmó la asistencia del gobernador García Padilla a la audiencia del Senado federal. Mientras, el presidente ejecutivo del PIP, Fernando Martín, confirmó que Berríos Martínez acudirá a la audiencia para reclamar que el Congreso debe actuar luego de los resultados del plebiscito que rechazan el status político actual. Pierluisi vio con buenos ojos el que Senado federal discuta el status político de Puerto Rico y adelantó que defenderá los méritos del proyecto HR 2000 que presentó ante la Cámara federal, para exhortar a los miembros de la Cámara alta federal a que propulsen legislación similar. “Cuando comparezca en la vista pública reiteraré que nuestro pueblo rechazó el estatus actual de Puerto Rico y que esa opción debe estar descartada a la hora de buscarle una solución al problema de nuestro destino político como pueblo”, sentenció Pierluisi en declaraciones escritas a EL VOCERO. Se espera que la Casa Blanca envíe algún representante del presidente Barack Obama, pero no se ha identificado el funcionario. Por su parte, el portavoz de la Alianza Pro Libre Asociación Soberana (ALAS), Luis Delgado, indicó que aunque no fueron invitados a la audiencia solicitarán un turno para testificar. Confirmó que su ponencia será recibida al menos por escrito. En tanto, Rosselló Nevares explicó que los mensajes a través de las redes sociales son parte de la iniciativa “Respeta mi Voto” que envía comunicaciones a los congresistas de manera periódica. Ayer, 542 congresistas recibieron el mensaje que leía: “Puerto Rico VOTED AGAINST the COLONIAL status & in FAVOR of STATEHOOD #RespectMyVote facebook.com/respetamivotopr”. “Queremos utilizar las herramientas tecnológicas para que este esfuerzo sea continuo y efectivo. Más allá de ir a Washington en una sola ocasión con unas peticiones; estaremos haciéndolo consistentemente al visitar nuevamente el Congreso y propiciar este esfuerzo utilizando las redes sociales”, dijo Rosselló Nevares en comunicado de prensa. Oscar Lopez-Rivera was offered clemency by Bill Clinton but refused to show remorse. Now he’s up for parole. 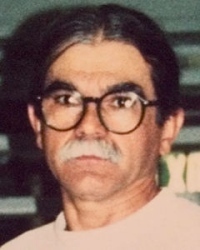 Oscar Lopez-Rivera was one of the leaders and founders of the fringe Puerto Rican nationalist domestic terrorist group known as the FALN (Armed Forces of National Liberation). In a highly controversial move in August of 1999, Bill Clinton offered clemency to 12 members of that group (including Lopez), along with four other members of their closely allied group the Macheteros (machete-wielders), who were based primarily on the island nation. The 11 other members of the FALN finally accepted the conditions of the clemency a month later by expressing remorse (in a move that was engineered by then Deputy Attorney General Eric Holder). However, in a surprising move, Lopez refused the offer. This was even after he had made two previous escape attempts (the sentence added for the second attempt would have delayed his immediate release). Lopez had been sentenced to 70 years for seditious conspiracy and a variety of weapons charges as well as the second thwarted escape attempt (which included plans for the use of violence). However, he is now attempting to gain his freedom, and a parole hearing is set for January 5th. It may be instructive to understand more about who Oscar Lopez is, and why an early release is not only an insult to the victims of the FALN, but an affront to justice and quite literally an act of madness. OSCAR LOPEZ HAD FIRST MET Carlos Torres in Chicago in 1972, and before long the two had forged a bond that led them to become leaders of the fledgling Puerto Rican terrorist group, the FALN. The first bombings began in 1974, and the group’s most noted early action was the bombing of the historic Fraunces Tavern in lower Manhattan in January of 1975. The lunchtime bombing killed four diners and injured 60. The bombings continued at a furious pace including targets in Chicago, Washington, D.C., Newark and Miami. Attacks were sometimes co-ordinated with the Macheteros, with that group setting off bombs at various locations in Puerto Rico. In 1977, a warrant was issued for Oscar Lopez on charges of dealing with and the possession and storage of explosives. That same year, both Torres and Lopez were indicted in Chicago for the receiving of 200 sticks of dynamite from Colorado and concealing them at their Chicago apartment. Documents discovered after the arrest led to a raid three days later of a house in Milwaukee that was rented by Oscar Lopez and Ida Rodriguez. The residence was loaded with bomb-making material, and authorities thought that they had just missed capturing Lopez. The next day, authorities searched an apartment in Jersey City, N.J., that was rented by Carlos Torres and found even more bomb-making material. It should also be noted that bombings in the Chicago area immediately ceased after the Evanston arrests. There had been 29 bombings and 10 people had been injured, some of them grievously. After the conviction of his ten compatriots in Chicago, the remaining at-large members of the FALN began to reconstitute under the leadership of Lopez. One of them was Alejandrina Torres, the stepmother of Carlos Torres. In May of 1981, however, Lopez was arrested after being stopped for making an illegal left-turn. The next day, FBI agents discovered bomb-making material in a Chicago apartment rented by Lopez. At the opening of his trial, Lopez stated that, “this is not a trial, it’s a kangaroo court.” FALN member Alfredo Mendez, who had since started co-operating with the government, testified at length about Lopez. Mendez stated that Lopez taught him how to make a bomb using dynamite, convert a battery and a wrist watch into timed bombing-detonation devices and how to make gun silencers. After his conviction, Lopez addressed Judge McMillen prior to his sentencing. “I am an enemy of the United States government.” Lopez also added, “I show respect for human beings but I don’t think it is reciprocated.” Judge McMillen called Lopez “an incorrigible law violator,” and then sentenced him to 55 years in prison. By 1983, the few at-large members began plotting to break Lopez out of Leavenworth, including Edwin Cortes and Alejandrina Torres. On March 8, the two were captured on FBI surveillance tape at their rented Chicago apartment making bombs. On March 19, the two traveled with a third unidentified member to Wadsworth VA Hospital, near the Leavenworth prison. Lopez had feigned illness, and was to be transferred there, and the three terrorists would attempt to effect a rescue. The FBI had been aware of the plot, and held Lopez at the prison. The three others returned to Chicago, and Cortes, Torres and Alberto Rodriguez (the latter two currently working to free Lopez), would be arrested that June, after specific bombing targets had been chosen. But Lopez would not give up on his plan to escape from prison. In 1985, he began plotting with a small group of other individuals, including two members of “Prairie Fire,” a group with direct ties to the Weather Underground. The plan included flying a helicopter to the prison, and use that to effect Lopez’s escape. Lopez had made up a list of materials to be used in the plot. It included grenades, rifles, plastic explosives, bulletproof vests, blasting caps and armor-piercing rockets. The FBI had known of the plot since the beginning, and made arrests in 1986. At his trial in 1987, Lopez portrayed himself as a “valiant freedom fighter,” but prosecutor Deborah Devaney argued that Lopez and his co-defendants were “terrorists who operated without conscience.” Lopez was sentenced to 15 more years in prison — bringing the new total to 70 years. In other words, a pure definition of terror. The FALN would set off nearly 140 bombs over nine years, killing six and injuring scores more. A police officer was also killed in Mexico after a shootout with FALN members. Their closely allied group, the Macheteros, would kill six more. Their members have continued to foment violence over the years, and some of them remain at large, including Victor Gerena, who has been on the FBI’s Ten Most Wanted list for a record 26 years. Fellow Machetero Filiberto Ojeda-Rios, who is also suspected of having direct ties to the FALN, died in a violent shootout in 2005. A third member of the group remains in prison. And some of the former FALN members working to obtain Lopez’s release who expressed “remorse” in the past in order to obtain their own freedom now show none, including Carlos Torres and Alberto Rodriguez. Another FALN member, bomb-maker William Morales, escaped from custody in 1979 and is currently in Cuba. As for Oscar Lopez, he is a dangerous terrorist as well as a sociopath, and has never been known to express any regret or remorse. He was a co-founder of a deadly terrorist group, who constructed bombs (their weapon of choice) and trained others in both how to build them and how to use them. He twice attempted to escape from prison, and the latter attempt included plans of violence and murder. Lopez is currently scheduled for release from the Terre Haute Federal Correctional Institute (in Indiana) in June of 2023. Again, his parole hearing is set for January 5th before the U.S. Parole Commission. If you wish to contact the commission, their number is 301-492-5990.